Kapalai is a luxury resort on stilts sitting on a shallow reef. Kapalai is also a stones throw away from Mabul and 20 minutes from Sipadan, which is well known for its stunning underwater scenery and large numbers of marine species. Like for nearby Mabul Island, many divers come to dive Kapalai to enjoy the fascinating muck diving and underwater macro photography. Kapalai is not really an island, but a large sandbank with a floating diving resort with beautiful over-water bungalows interconnected by a series of walkways and it has some superb open-water and macro diving sites surrounding it. Scuba diving Kapalai is year round. 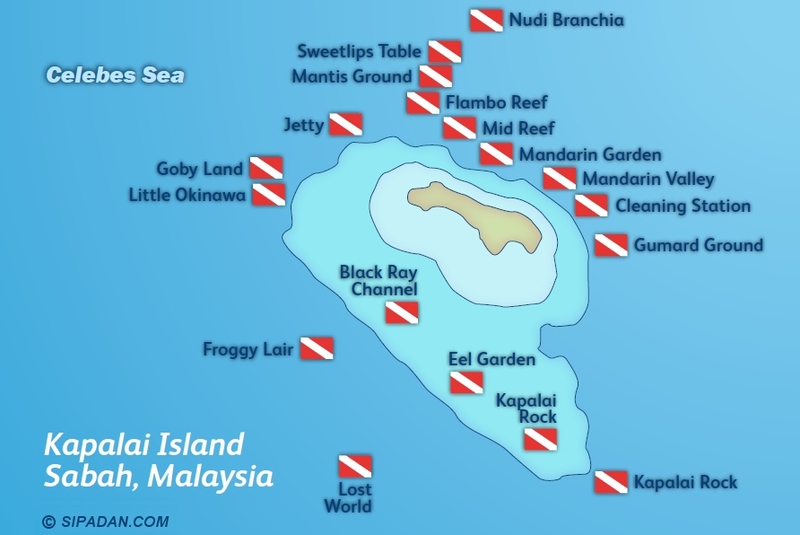 Recommended Length of stay: 5 to 14 days (including Sipadan and nearby islands). This popular macro-photographers site is a mad circus of manic marine life here. As well as hundreds of strange and wonderful tiny critters, you can see flamboyant gobies and cuttlefish, jawfish, the more unusual leaffish, grey frogfish and ghost pipefish, hawkfish, crocodilefish and of course, many colourful mandarinfish which give this site its name. 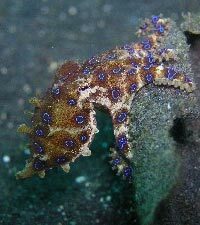 Right beneath you on the main resort jetty is the best of them all, spot colourful schools of fish and even blue ringed octopus. A calm shallow reef dive with clear viz and a sandy bottom, this site is crammed with marine life all along the reef, you can see hundreds of stingrays such as blue spotted rays, ribbon and moray eels, schools of boxfish and batfish, dragonets and octopuses, as well as several varieties of macro critters and crustaceans like shrimps.